Cruise ship is dwarfed by glaciers in Alaska. An Alaskan cruise is an awe-inspiring trip. 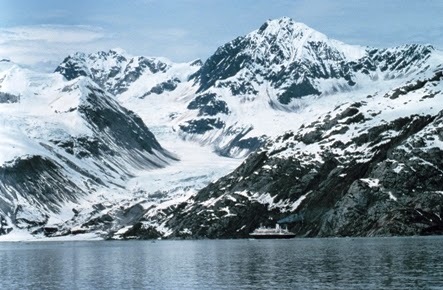 From the deck of a ship you can literally breath in the icy snowcaps and monumental glaciers (such as the Hubbard Glacier which is over 6 miles wide) while catching a glimpse of bears, eagles and other wildlife on the harsh terrain of the shore. The scenery is majestic, the sun shines brightly and once on land you can spend your day trips and stopovers enjoying everything from mountain hikes, dog sledding and whale watching to some old fashioned shopping, drinking and dancing in places such as Juneau and Skagway. The beauty of a cruise vacation is that it gives passengers the opportunity to experience a variety of destinations and nothing could be more varied than a cruise of South America. Whether you choose to explore the tropical rainforests in Brazil, the exotic beaches in Rio, the high fashion in Buenos Aires or the snowy Andes mountain range in Chile, you’ll always remember the vibrant and dramatic coastline of South America. Hop on board a cruise around the Med, and you can experience the high culture of some of the most important capital cities in the world alongside beautiful coastlines and magnificent beaches. Whether you opt for a tour of the Greek Islands, a jaunt around the Costa Del Sol or a relaxing retreat in the French Riviera you are guaranteed warm weather, great food and authentic European culture. Stop off at the Eternal City itself: Rome. Here you can spend a day touring some of the most iconic, ancient landmarks in the world then hop back on board your liner and wake up in a completely different, bustling city the next day. A Caribbean cruise gives you the opportunity to experience true paradise. From sparkling beaches, palm trees, stunning, clear water and year-round sunshine you will feel like you have fallen into a dream. Being the most popular cruising region in the world, there are many cruise packages that operate from different areas, but because island ports are often close together you can generally experience a number of venues on your trip. Swim with dolphins in Jamaica, visit Devil's Bridge in Antigua, or check out ancient ruins in Mexico – wherever you go you can relax, unwind and soak up the Caribbean sunshine. 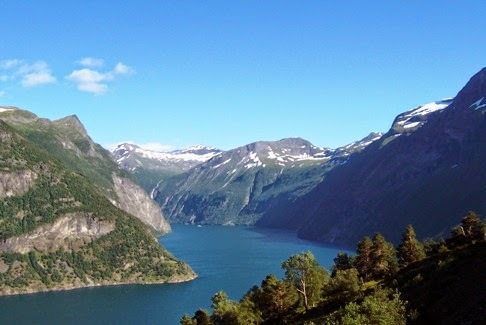 The Norwegian fjords are truly magical. A cruise around Norway, Greenland and Iceland might be choppy, but the stunning glaciers, green coastlines and remote fishing villages that you can visit along your journey will make up for it. Your days will seem long as the sun barely goes down during the summer months giving you more time to make the most of your trip. Photos and article contributed by Susie Jones, travel writer.